It has been said we are all products of our own experiences, with our actions and reactions often being influenced by things that have happened in the past. However, you may not be aware of the impact of these experiences because your subconscious mind works hard to protect you in different ways. It will bury a painful experience so it no longer causes you conscious pain and it will help you avoid being hurt in the same way again. ‘Great’, I hear you say. But beware, because if these wounds are not healed, they can affect every aspect of your life, influencing your thoughts, your behaviour and your emotions. A failure to confront your past can lead to many problems, such as anxiety, panic attacks, phobias, recurring relationship problems and nightmares. Regression therapy is simply a means of bringing forward information from your past. It works by getting to the root of a problem and then healing at a deep physical, emotional, mental and spiritual level. As a practising therapist for more than 15 years, I can access your buried memories in a safe and structured environment. 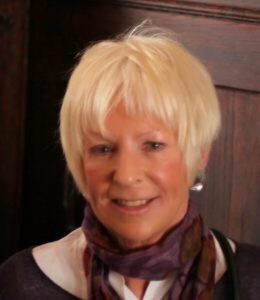 I specialise in current life regression therapy, which means I use my skills and experience to access hidden memories in order to gain an insight into an event or events that took place in an earlier period of your life. Regression therapy can transform your life by helping you to deal with your past for the sake of a bright and contented future.